SIGforum.com Main Page Mason's Rifle Room Ruger just announced a .40 Carbine ! They now list a .40 cal version of the PC-9 carbine, along with a new free float hand guard. And yet, still no fixed barrel version with a receiver-mounted peep sight. While I'm excited to see them developing this product out further (which is a large part of why I bought a PC carbine in the first place), I'm dissapointed that it's .40. I'd have preferred 10mm or .45 ACP. With the way .40 is faring in the overall market right now, it definitely seems like an odd choice of caliber for them to branch into with this platform. 10mm or .357 Sig I think would take more advantage of the carbine length barrel, and I'd be interested in a .45 just because I like .45. I've got no use for .40, and if you look at the market these days, I'm not the only one. The free float barrel, while ugly as sin (and it's truly impressive that they found a way to make this gun uglier! ), is an interesting concept, but I'm curious how it works with the takedown barrel. Does it lock into the receiver independently, or is the lockup the same as before, just now there's a shrouded handguard around the barrel? If the latter, what's the benefit? It seems that the main concern for accuracy on a takedown gun is where the barrel locks to the receiver, not contact points with the handguard. IMO their time would have been better spent developing inserts for different types of mags, like Sig P320 or Beretta 92. Does it lock into the receiver independently, or is the lockup the same as before, just now there's a shrouded handguard around the barrel? Just a shroud around the takedown barrel. If the latter, what's the benefit? 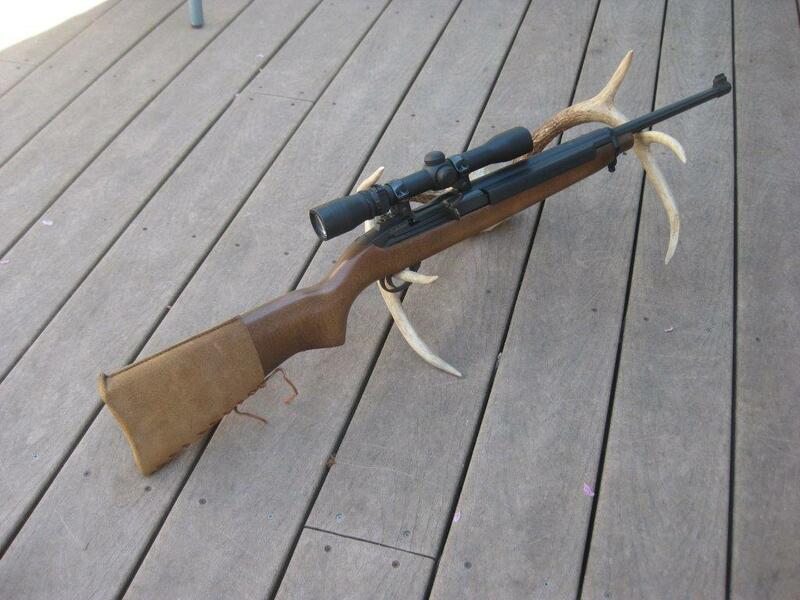 Some customers want to be able to hang additional accessories on their rifles. Currently, those customers are giving their money to aftermarket companies, like Parker Mountain, who already offer a replacement MLOK PC Carbine handguard. Now Ruger can recapture some of that market. It also allows for different styles of grips with your support hand, and allows for your support hand to be further forward towards the muzzle. The standard PC Carbine has a shorter handguard, and an exposed barrel on top. So no real benefit to accuracy then...just a way to make the gun heavier and hang more junk on it? Not the end of the world, as mine is decently accurate for what it is, but I do have to keep an eye on the lock ring as it likes to work itself loose (as do all the allen screws that they used to put the thing together. I've slathered enough loctite on it now that it should be a while before I have to worry about it again, though). I'm with you...I'd really prefer a fixed-barrel version. I'll take a fixed 16" barrel version, with receiver-mounted rear peep sight (and corresponding smaller aperture), and a 15" full-length handguard. Sort of like a 9mm Glock-compatible Ares SCR. 40 S&W‽ Dam’! Didn’t they get the memo? The recoil of that thing will blow someone’s shoulder clean off the first time they don’t hold it just right. I admit that does seem like an odd choice now that the 40 has been declared dead and all but buried by the gun priesthood. Is .40 ball cheap these days? Define "cheap." It's more expensive than 9mm, but much less than .45 ACP or 357 Sig. The original circa 2000 PC4 (.40) and PC9 were originally offered with mounts for proprietary Ruger rings, front sight post and an adjustable notch rear sight just forward of the ejection port. Later years of its limited run offered a second model in each caliber which added a ghost ring sight mounted on the rear of the receiver just above the tang. Put a drum mag on that thing, and you have a modern day PPSh. I know. But those older Police Carbines are long out of production, don't have any manufacturer or aftermarket support, and don't take Glock magazines. Hey Ruger- you want to impress me? Dump the takedown feature and make it in .357; hell, make it in .44 magnum. Make it a bottom loader like the carbine and people will line up to buy them. I LOVE my .44 carbine and my Deerfield, but neither one has support anymore. My 54 year old carbine is handy, shoots my reloads like a dream, but I fear breaking something when I take it hunting. Based on the Mini-14 model, the Deerfield is more robust but decidedly more chunky than the carbine. Not likely to break though. Hey Ruger- you want to impress me? Dump the takedown feature and make it in .357; hell, make it in .44 magnum. Rimmed revolver cartridges like .357 and .44 don't tend to play nice with traditional semiauto box magazines. Hence the tubular or low-capacity rotary magazines used on other .357/.44 carbines. .357/.44 Magnum are also a bit much for a blowback operating system. So while I agree that Ruger should reintroduce a semiauto .44 carbine, the blowback and box mag PC Carbine platform isn't the best base from which to start. 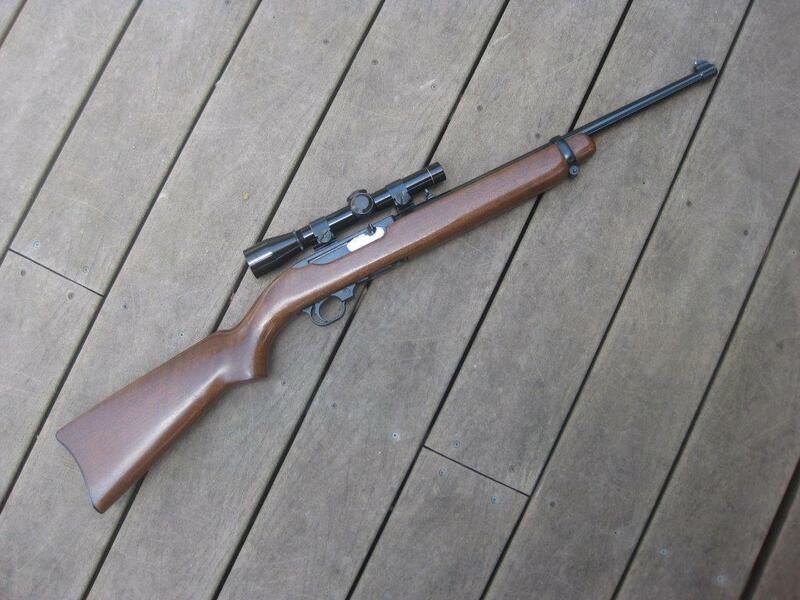 I know several guys whose go-to hog/deer hunting guns are old Ruger .44 carbines. Many of them are well-used and well-worn, but still kicking, although who knows for how much longer. Neither gun is a blowback; both utilize gas assistance, albeit different types. I can live with 4+1 if they’d make it. I'd think they went with .40 because it was a easy conversion...about the same length as the 9mm...I'd think the .357SIG would be next. If the latter, what's the benefit? It seems that the main concern for accuracy on a takedown gun is where the barrel locks to the receiver, not contact points with the handguard. Neither gun is a blowback; both utilize gas assistance, albeit different types. The PC Carbine is a blowback design. It doesn't have a gas piston like Ruger's .44 carbines. The PC Carbine is a blowback design. They could revitalize the short stroke system of the Deerfield, and I'd live with the short box mag for a semi-auto .357. I recognize that it would push up costs, but they would sell like hot cakes. The early Deerstalker .44 carbines like yours used a short stroke tappet gas piston like the M1 Carbine. But the later Deerfield .44 carbines used a quasi-long stroke fixed piston system like the Mini-14. 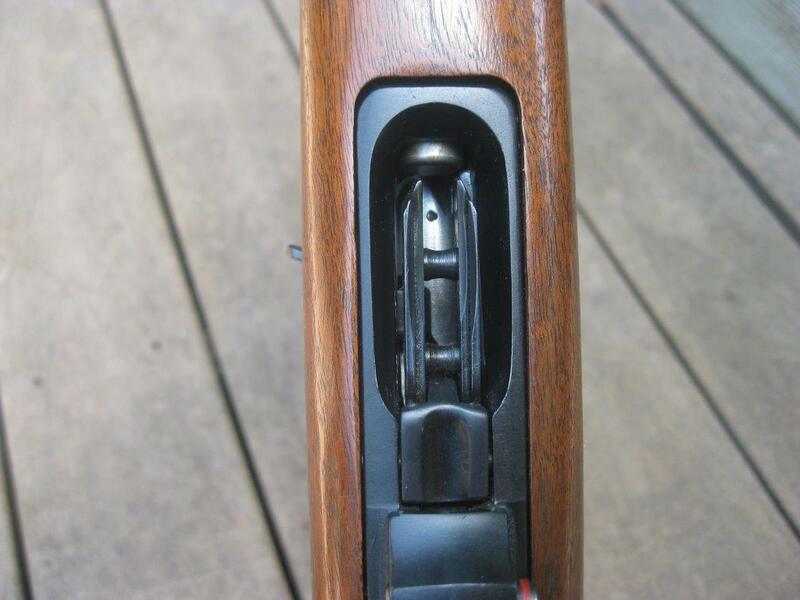 The later Deerfield also used a rotary magazine like the 77/44 (basically a scaled-up 10/22 mag), whereas your earlier Deerstalker has an internal tubular magazine like a lever gun. 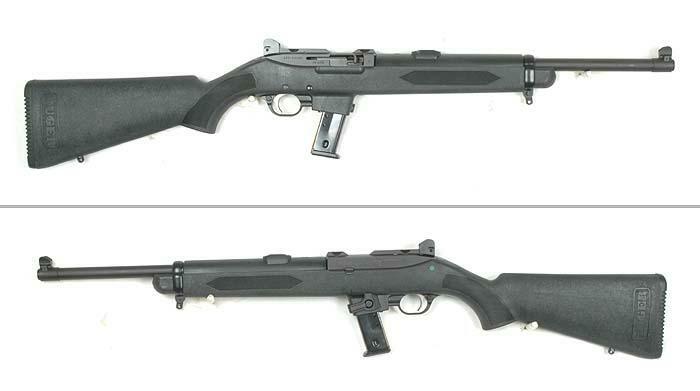 So I think if Ruger were to ever reintroduce a .44 semiauto carbine, they'd be much more likely to use a system similar to the later Deerfield design, with 77/44-style rotary mag and Mini-14-style gas system, than one with the earlier Deerstalker design's M1 Carbine-style short stroke system and tubular mag. They already have more extensive knowledge on the design and production of that styles of gas system from the Mini-14 and that style of rotary magazine from the 10/22, 77/44, American rifles, etc. Anyway, like I said, if you start with a PC Carbine, you'd have to toss out the blowback operating system and magazine, and redesign basically the whole thing to accommodate a gas system and tubular/rotary magazine. So it'd make more sense to simply start with the Deerfield design and modernize it. Quick Reply to: Ruger just announced a .40 Carbine !